FHA approved! Cute! Cute! Cute! Beautifully updated condo with lots of natural light. 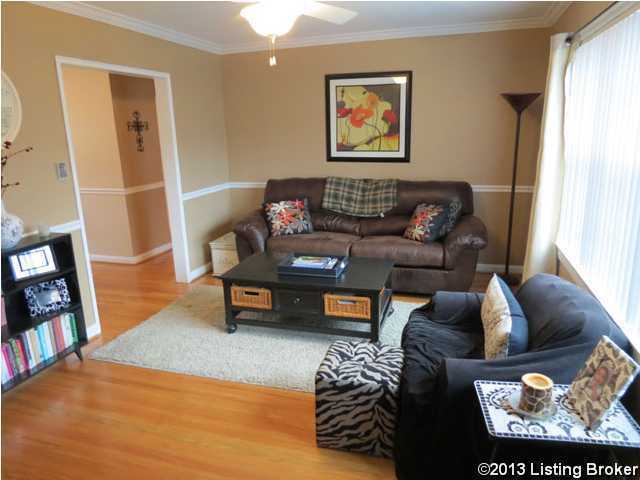 This condo features a living room, dining room and both bedrooms have hardwood flooring. The dining room has crown molding and chair rail. You will enjoy cooking in the wonderful kitchen with granite countertops, ceramic tile and plenty of cabinetry. The bath also had ceramic tile, frameless glass shower doors and newer fixtures. You will find neutral colors throughout this condo. The laundry hookup and private storage area are in the basement. This condo is located in a great location and is in move-in condition. Off street parking. Direction: Frankfort avenue to street. Crescent Crossing is a subdivision within the city of Louisville, Kentucky. There are currently 0 Homes for Sale within Crescent Crossing, with asking prices ranging from $0 to $0. The average list price per square foot of the available inventory in Crescent Crossing is $0, which is the Louisville average of $156. The Average Sales price of all sold real estate in this subdivision for the past year is $127,500. Recent comparable homes have been selling for 98.49% of their asking price. Waterfront homes represent of the available Crescent Crossing inventory. The population of Louisville, according to the 2010 Census, is 597,337. The total number of households in the zip code of Crescent Crossing is 9,488, with an average household size for of 1.92 people. The total number of renter households within the zip code of 40206 is 4,448, which means that 53.12% of households in this zipcode are owner occupant households. , Louisville KY 40206 is a Condo, with 2 bedrooms which is recently sold, it has 775 sqft, <1/4 ACRE sized lot, and Off-Street Parking parking. A comparable Other, has bedrooms and 0 baths, it was built in and is located at and for sale by its owner at $ 0. This home is located in the city of , in zip code , this County Other, it is in the Subdivision, and CLIFTON are nearby neighborhoods.